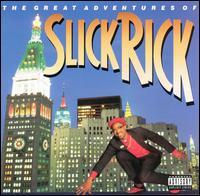 Shout out to my man Slick Rick for receiving a full pardon from the state of New York! Anybody ever been to London before? I heard it's actually poppin across the pond. . .
Interpolation as opposed to sample, eh? Just don't put the Luther Vandross song Erick Sermon butchered on "So Wat Cha Sayin'" just yet, Papa. lol, you can kinda hear the beat under there! i fux w/ this song, too. . . remember the video when rick had on the "full length" fur, but it only came up to like his knees!! Glad to see the video again. Is that Big Daddy Kane stealing Teenage Lover's girlfriend? ?